Do you—or does your primary care physician—have reason to believe that you may have a sleep disorder? You may think that you need to have a polysomnogram (sleep study) in order to verify you have a sleep disorder or sleep problem, and furthermore to determine which one you have and what’s causing it. However, this may not be the case. The fact is, there are over 80 different identifiable sleep disorders, and new ones are likely to be discovered by researchers in the future. And although a sleep study can detect and verify almost all of them, many sleep disorders don’t actually require a sleep study to make a diagnosis. In many cases, a skilled, board-certified sleep physician can make a sleep disorder diagnosis using other methods, including physical exams and simply talking to the patient about their symptoms (more on that later in this article). First: What kinds of sleep disorders exist, and which types of sleep disorders require sleep studies, either in a sleep clinic/sleep center or at home? An estimated 70 million Americans suffer from sleep problems falling into one or more of these six main categories. Sometimes the origins of the sleep issues are found in the nervous system. Sometimes, they’re anatomical (as is the case with obstructive sleep apnea). Sometimes, they’re due to drug interactions or recreational alcohol and drug use/abuse. 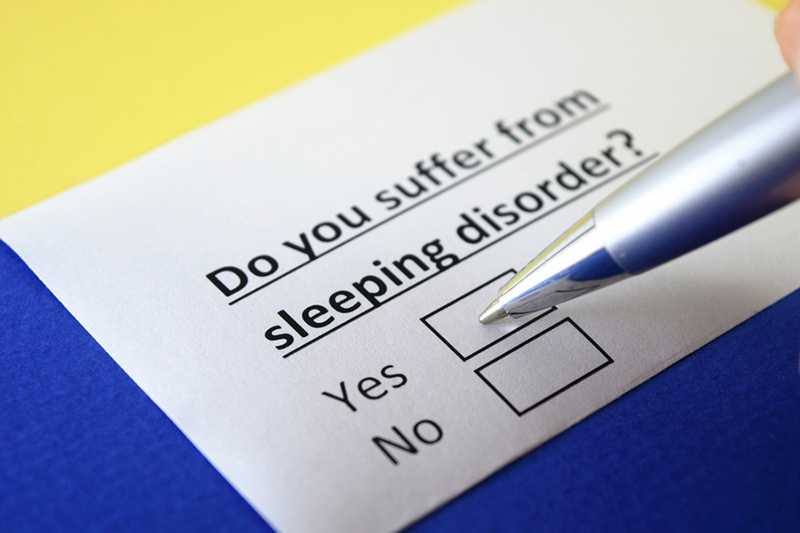 Still other sleep disorders are symptoms or side effects of chronic illness or other medical or psychiatric disorders. Which of these require sleep studies to confirm a diagnosis and begin treatment? Every case, and every patient, is different. No website can tell you for certain whether a sleep study is advisable for diagnosing your particular sleep issues. Your first step is to consult with a board-certified sleep medicine physician. A sleep medicine physician, or sleep doctor, is a specialist with expertise in diagnosing and treating sleep disorders and disordered sleep behaviors. At your first visit, be prepared to be thorough and honest about your sleep habits, how much sleep you’ve been getting, your symptoms, your medical history and current health condition, and your lifestyle. question you about your sleep—perhaps even assigning you the “homework” of keeping a sleep diary for a period of time (usually, two weeks or longer), to help see if there’s a pattern to your sleeping and waking, or your other symptoms. Based on your exam and your responses, your sleep physician will develop a sense of what your sleep problem may be. They will then determine if more information is needed—such as detailed tracking of your cardiac activity, respiration, and blood oxygen levels (associated with apnea) or monitoring of your unwanted sleep activity (e.g., if you have a suspected parasomnia like sleep eating or night terrors). With these sleep disorders, a sleep study will allow your physician to gather additional data about your brain and body that they can look at later for clues—for example, EEG results (measuring your brain activity) and data on whether you’re progressing through all of the sleep stages. Sleep studies conducted in a clinic can also gather video and audio evidence of any nighttime arousals such as sleepwalking, sleep talking, crying, eating, seizures, spasms or other unusual activities—symptoms you may not be aware of and therefore can’t report in a medical history or sleep diary. Fortunately, a number of sleep disorders don’t require this additional medical detective work. For disorders like insomnia, restless leg syndrome, and some circadian rhythm disorders like jet lag or shift worker disorder, an exam, sleep diary and health history is usually sufficient. Oftentimes, a detailed health history may point your sleep medicine physician toward a more commonplace cause like a drug interaction or even a dietary concern. (For example, blood sugar fluctuations have been found to disturb sleep; eating differently during the daytime, and especially in the hours before bed, may resolve your nighttime awakenings.) Changes in hormones as you age may also cause changes in sleep duration and quality, especially for perimenopausal and menopausal women. Most sleep experts will tell you that sleep hygiene—collectively, the habits and behaviors that support good quality sleep—is one of the major contributors to many sleep problems, especially disorders like insomnia and circadian rhythm disorder. When a sleep physician collects a thorough health history and a sleep diary, they’re using the information you provide to help them determine whether there may be a simple, non-medical, non-pharmacological solution to your sleep disorder. For example, you may need to change your sleep environment or sleep schedule or change your consumption of caffeine or other stimulants. If making the various sleep hygiene and lifestyle changes does not help improve the quality of your sleep, at that point your sleep specialist may recommend a sleep study to determine if you may have another sleep issue underlying the insomnia. If you’re worried about an overnight sleep study, or concerned about attaching yourself to wires and sensors at home for a home study, you may be getting anxious for no reason at all. It could be that your particular sleep disorder may be diagnosable by other means, and treatable without the need for a sleep study. Remember, the first step is to see a board certified sleep physician. A sleep physician is a specialist with years of training on the complex subject of sleep, just like a cardiologist has years of experience treating the heart or a neurologist, managing nervous system disorders and headaches. When you visit a board certified sleep specialist, you’re in the hands of a physician who is an expert at identifying and treating sleep disorders specifically. A sleep physician is not a generalist (although most can cite extensive data about how sleep affects every aspect of the body, including the heart, cognition and mental health). Your sleep physician’s specialized training, certification, and medical focus is about one thing: getting you better quality sleep, so you can have better overall health. Fee free to contact Sweet Sleep Studio in Kansas City today at (913) 221-6059 to request more information or to schedule an appointment today.